Comments: Pansies are by far the most popular cool season annual used for mass color. Provide a raised bed that contains a fertile, well drained soil and full sunlight for best results. Pansies can take considerable cold temperatures but flowers become smaller and plants begin to fade once hot weather arrives. 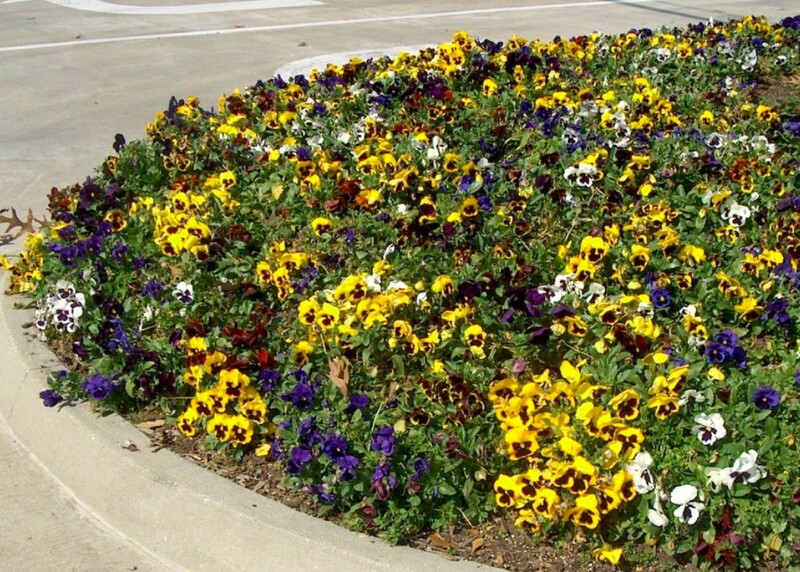 Fertilize pansies monthly during the flowering season.